2016 Ford F-150 King Ranch Ecoboost! Clean Title, No Accidents CARFAX Guaranteed Here is your chance to take home a sweet looking King Ranch at an amazing price! Loaded with every option imaginable! This was owned locally and regularly maintained and serviced. It features new BF Goodrich K02's on 20" Fuel Crush wheels with a leveling kit. Beautiful premium leather interior with all-weather floor mats. Panoramic Moonroof, 360 Degree Cameras, Trailer Back-Up Assist, Trailer Brakes, Lane Departure Warning, Lane Keeping Tech (hands free steering) 4x4 w/ AWD, Heated Steering Wheel, Heated & Cooled Front Seats, Massaging Seats, Heated Rear Seats, Power Adjustable Steering Wheel/Pedals/Mirrors, Power Folding Mirrors, Airbag Seatbelts, Sony Sound System, LED Headlights/Taillights, Auto Drop Tailgate, Bed-liner, Truck Bed Lights w/ Truck Box Organizers, Remote Start, Auto-Beam Headlights. 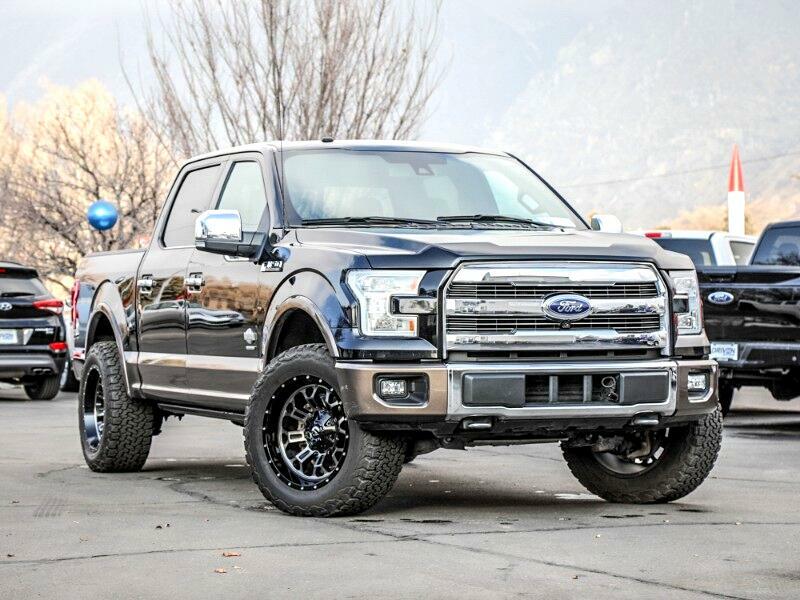 Seriously, this is like the Rolls Royce of pickup trucks! So much more to list, come take a look at it! Priced to move quick, call or text us today! At Driven Auto Sales we find excellent cars with amazing prices and pass the savings to you, our customers. All of our cars have clean titles and are handpicked to meet your satisfaction. We offer financing options through most local credit unions and will take the time to help you find the best rate possible. If you have a vehicle you'd like to trade we accept those and would be happy to get you an appraisal. Most of our vehicles have the manufacture warranty still in place but do offer extended warranties up to an additional 5 years and 100,000 additional miles. Visit our website for our full inventory and CARFAX reports. Call/text us at (801) 477-0895 or stop by today to have a no pressure buying experience and see why we are one of Utah Counties fastest growing companies! Visit Driven Auto Sales online at drivenautoutah.com to see more pictures of this vehicle or call us at 801-477-0895 today to schedule your test drive.